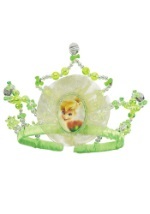 Spread the magic of Neverland with this Tinkerbell wand. 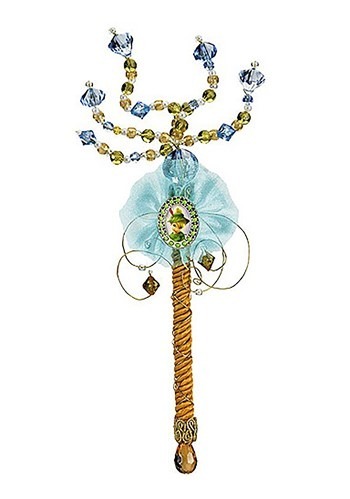 The wand has a character cameo on the handle that is highlighted with blue netting and decorative wire and beads (please note the image of Tinkerbell is different than pictured). The top is made up of six pieces of wire strung with blue, white, gold and orange beads. A blue jewel is featured in the middle of the wand along with an orange jewel at the bottom. 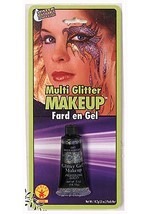 Think happy thoughts when you pair this wand with any of our Tinkerbell costumes. Add a Tinkerbell purse to carry your Halloween goodies in!